SAN ANGELO, TEXAS. (Sept. 13, 2018) –With a love for spending time on the water and in nature, fishing has provided a therapeutic avenue for veteran Navy Petty Officer 2nd Class Juan Rubio assisting him with his own post-traumatic stress disorder, traumatic brain injury and anxiety disorders. 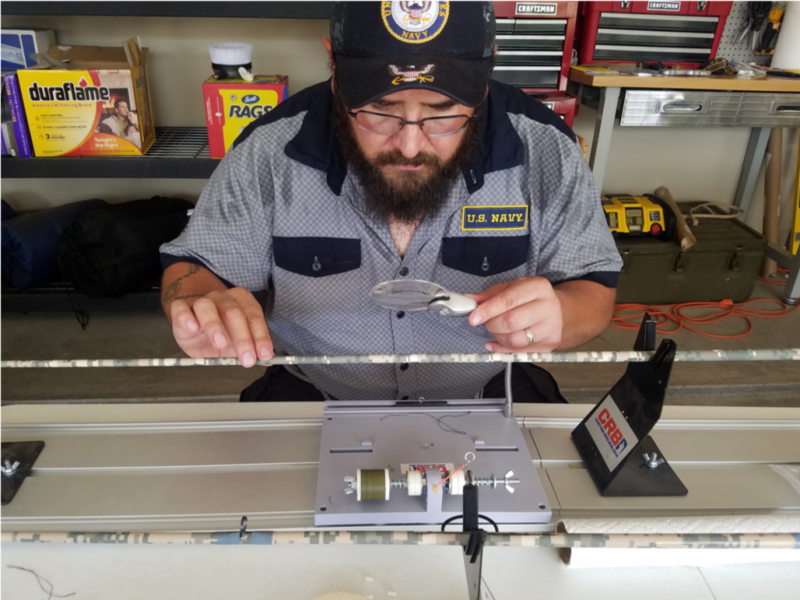 Taking his love for fishing and wanting to support his fellow veterans, Rubio earned a certificate in basic custom rod building and has started a nonprofit, Fish’n With Docs Custom Rods and Fishing. Now, thanks to Hope For The Warriors® and its A Warrior’s Wish® program, the father of five can expand his nonprofit with a workshop and more than $3,500 worth of supplies. Led by Rubio, the nonprofit will take combat veterans fishing near San Angelo, Texas providing custom rods, fishing tubes and an all-expense paid weekend to fish. Rubio enlisted in the U.S. Navy in 1999 as a hospital corpsman and was assigned to National Naval Medical Center in Maryland. He responded to the Pentagon following the 9/11 terrorist attacks supporting search and rescue efforts. In 2002, he was reassigned to Camp Lejeune in North Carolina and reclassified as a field medical service technician. He deployed twice to Iraq, first with a weapons platoon and second with a small craft company. On January 1, 2005, his unit was ambushed along the Euphrates River with improvised explosive devices, rocket-propelled grenades, and machine gun and small-arms fire. Rubio exposed himself to enemy fire to provide triage to three wounded Marines and again when moving the wounded Marines from the ambush site to the shoreline for medical evacuation. He was wounded twice during this tour but was treated in-country and remained with his unit. After nine years in the Navy, Rubio medically retired out of Corpus Christi Naval Air Station with a Silver Star and two Purple Hearts. Since the program’s inception, A Warrior’s Wish has granted 188 wishes.